The best retail experience is personalized and relevant. Putting umbrellas and raincoats in front of a store during a rainstorm, for example, boosts inbound traffic and makes satisfied — and dry — customers. But other than displaying umbrellas in the windows, how can a store advertise a spur of the moment promotion like that? Chico’s, a women’s apparel and accessories chain, uses Chromeboxes to tailor promotions across its U.S. stores. While bikinis are featured in digital displays in Florida, coats might be featured in Chicago and cocktail dresses in Las Vegas. Chico’s is working on bringing personalized content to 5,000 screens in its stores. Australia’s Famous Fish by Steve Costi restaurant chain is mixing the best of self-service technology with old-world aesthetics. 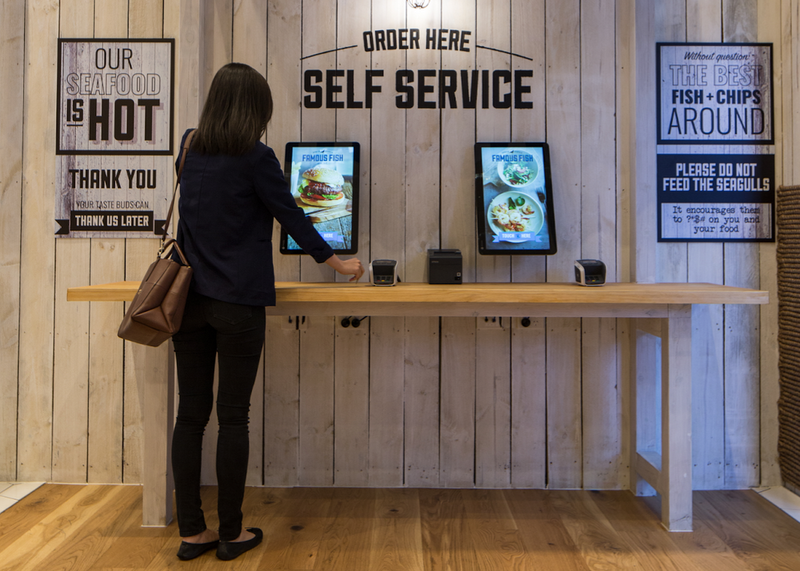 They introduced kiosk-based interactive menu boards based on Chrome which let people place their orders. This means customers have shorter lines and they get their food faster too. Where are the fish biting today? If you’re a sporting goods store and answer that for your customers, they’ll stay loyal for life. Scheels, a sporting-goods chain with 26 stores in 11 states, uses Chrome digital signs to display information about nearby river conditions and advice on the latest equipment and local fishing techniques. “They’re incredibly popular features that have helped build customer loyalty,” says Josh Diemert, lead systems administrator for Scheels. Scheels also lets customers place orders using in-store kiosks. That frees up staff to provide more specialized service to individual customers. “We’ve taken the in-store experience to a new level by leveraging technology to make shopping fun, while at the same time empowering our sales team to deliver a better quality of service,” says Diemert. Store managers have a lot on their plates, and managing in-store digital signage campaigns can distract them from their most important work of helping customers and supporting their staff. Compass Group Canada turned to Chrome digital signage for promoting in-store offers in its restaurants and coffee shops. 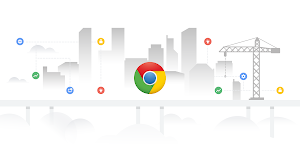 One marketer can now manage dozens of campaigns using Chrome Device Management, saving hundreds of hours of work a week. And campaigns are carefully tracked to make sure they perform well, leading to a 2% to 4% sales boost, which adds up for a company with $2 billion in annual revenue. If more retail employees have better access to computing, stores can move many of their processes online and make them more efficient. This includes everything from inventory checks, HR tasks, employee training on new store offerings, shift coordination, and marketing activities. The challenge has always been that it’s expensive to get a device for each employee, and it’s insecure to share a typical PC amongst multiple employees. Chromebooks can be shared seamlessly between many employees, and any employee can pick up any device, log in, and get a secure workspace with access to all of their applications By deploying a few Chromebooks in the back office of a store, retailers can give all of their employees secure access to computing, operate their stores more efficiently, and make sure that their employees are well trained on the latest products. Find out more about how Google is ready to support and grow your retail business at our NRF BIG Show booth (#4333) in New York City, January 15th - 17th. 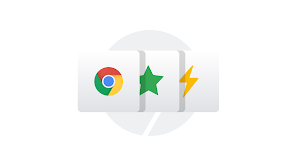 Those who can’t attend the show can learn more here about how retailers can use Chrome digital signage and devices to engage customers.